I often talk about shopping local both on this blog and on my Instagram, and I really practice what I preach. Sure, I am often enticed by surfing the web or perusing the fast fashion chain world, but when it comes down to it, knowing the shop owners by name in my neighborhood and being a regular customer feels great. After all, it is a win/win situation. You can support small businesses and local companies while finding beautiful clothes, great gifts, lovely home furnishings. I love it. Plus, no matter where you live you can participate in Shop Small Business Saturday on Saturday, November 25th, right after the dreaded Black Friday, a much better option. I am going to take one holiday at a time here, and right now I am gearing up for Thanksgiving. The green dress featured in this blog is the Tart Collection Sian Dress and it is a GOOD one. I love the green ruffle bottom and of course the pockets. 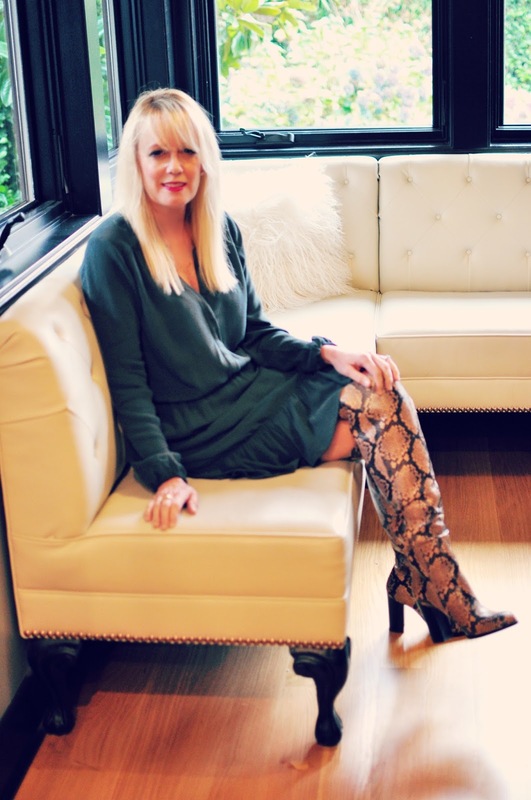 Plus it is the perfect length to show off a great pair of over the knee boots. I think a neutral or black suede would be gorgeous, but my Sam Edelman snake print boots add a bit of chic personality to the whole look. I love this dress and even better, it is 30% off at Queen Anne Dispatch on Friday, November 17th, when the store holds a day long party for its 30th Anniversary. Now that's something to celebrate. 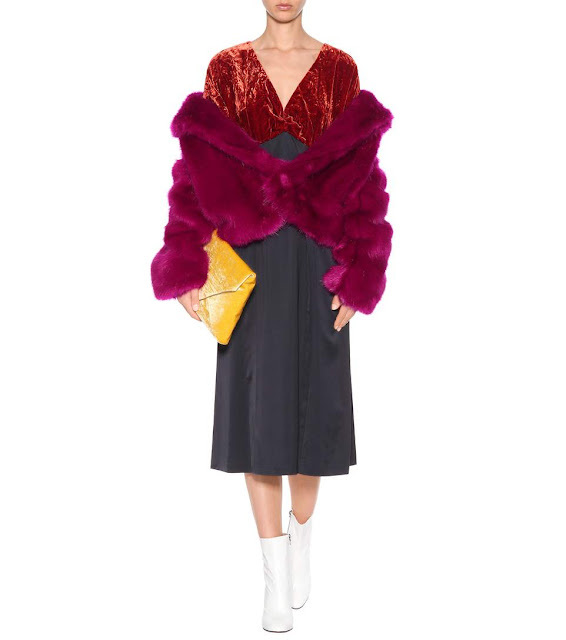 Faux fur is everywhere this season and with good reason. It is the kind way to show style with fur, and faux fur comes in as many colors and kinds as you can imagine. 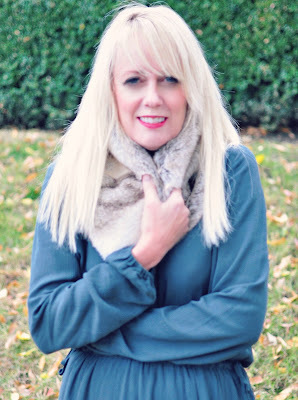 I am a big fan of the the Pia Rossini Snood that QA Dispatch carries--every season I give them as gifts and several have made their way home to my own closet. 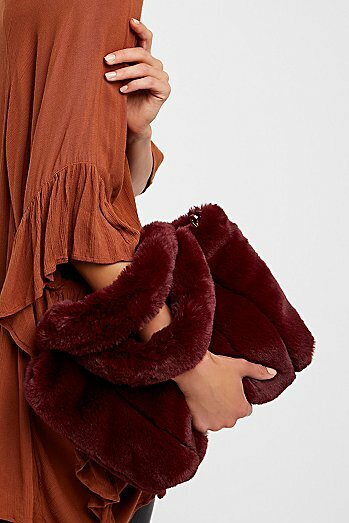 Add it to a dress or wear it out with a coat--no matter what you have on, a little fur makes a big impact. The knit Pia Rossini Wrap Sweater I am wearing above (also from QA Dispatch) is a super cozy way to stay warm and look cool. I like wearing this chic Pia Rossini Wrap with denim too. The faux fur is so soft and "real" looking you may get people wanting to pet you.....you've been warned.